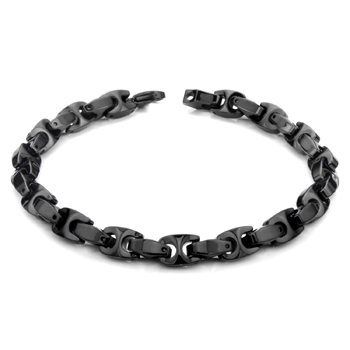 Marina link has long been a Italian classic, but this black tungsten carbide necklace gives it a new life. Finished in glossy black mirror finish, it carries the bold look that a men's jewelry should. Black color also goes along with both formal and causal outfit, making it true everyday jewelry. The proprietary security pins that it employs to hold the links together ensure that it will never breaks no matter how active your lifestyle is.